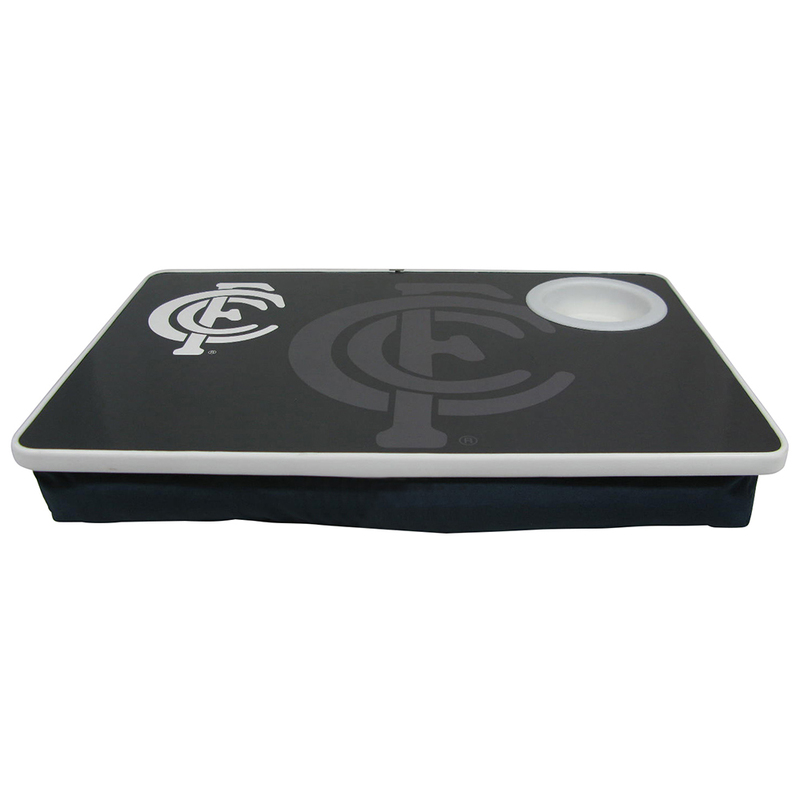 Don't miss a minute of the game - grab your dinner and your Carlton Blues Lap Table, and park yourself in front of the TV! Measuring 41cm x 28cm, the laminated MDF top includes a plastic cup holder, and has nylon plastic edging. The bean bag type base will comfortably rest your table on your lap, and is ideal for meals, drinks, crosswords, homework - anything that needs some stability. The clubs colours and logo are prominately displayed on the table's top.